"Fast Break to Line Break is a vibrant reminder that we human beings take nothing quite so seriously as we do our games. What joy to hear these remarkable writers speak so passionately about a metal rim, an arcing ball, and the countless lessons learned on and off the court. Nothing but net, here." 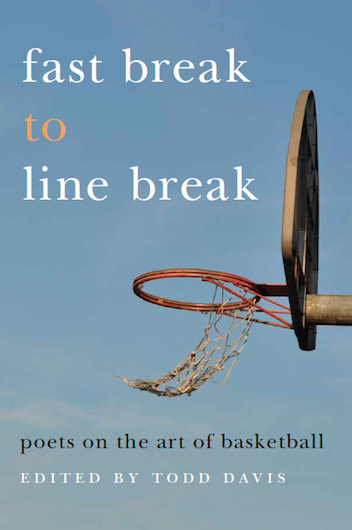 "The resplendent prose skirmishing in Fast Break to Line Break wrests verse from the mitts of baseball’s ham-handed mutts and delivers poetry to another genre—basketball’s articulated fingertips where the spin is spun into the english on the English."